I love movies. And I love Hollywood gossip and glamour. 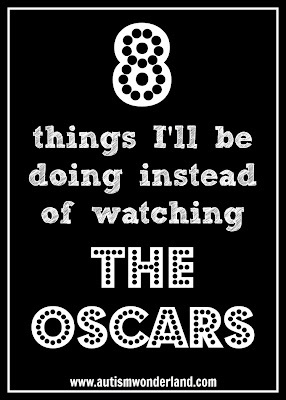 But I just can't sit through the awards shows. I don't watch any of them. Not even The Oscars. 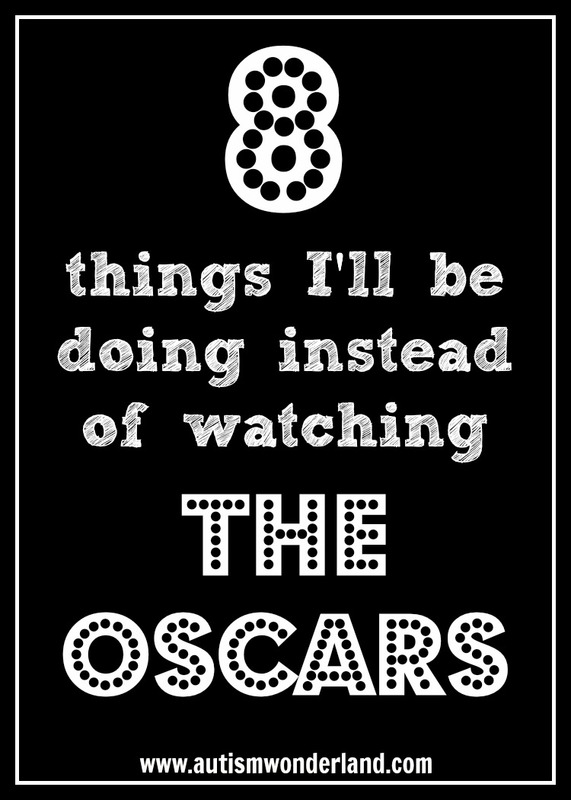 I haven't seen any of the Oscar® picks (at least I don't think I have). I'm not even sure who's nominated. But I keep hearing something about Argo and Les Miserables. (I know who's in them...just haven't seen them. I mean, I just saw The Artist - last year's fave.) The Husband and I love movies. We have a pretty impressive DVD collection. But we don't actually go out to the movies. We so rarely have a night out together that going to a movie together is impossible. The last movie we saw together was The Hobbit - and we took a vacation day for a day date. And before that, the last movie I went to see was the last Twilight movie and I saw that on a Sunday morning by myself. And The Husband That's what going to the movies have come down to for us - the rare vacation day/day date and going to the movies solo. Writing - I have lots of deadlines and exciting stuff coming up. Trying to get The Boy to go to sleep. Washing dishes - because there are always dishes to wash.
Scrolling through Facebook and Twitter reading everyone's update. Contemplating whether I should tune in to watch after reading someone's update to see what they're talking about. Will you be watching? Have you see any of the picks? Wouldn't it be amazing if every weekend was a three day weekend? It's Tuesday and I went to work. Yesterday was President's Day and I had the day off. A wonderful three day weekend. As a full-time working (outside the home) mom, I feel like I'm constantly playing catch up. Now that school has started, my time is even more limited. But when I have a three day weekend - I feel like I get soooo much done. Like all the laundry. I even folded it. And I set up The Boy's outfits for the week. I went to the supermarket and Target. I even cooked a meal or two. I wrote a post that made me all teary and sentimental. I got to read an A M A Z I N G book and it made me cry the ugly cry. 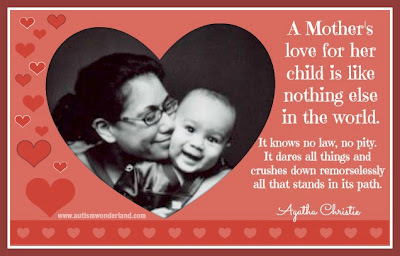 I took the time to just be a mom. We even took The Boy for a pony ride. He liked it! He really liked it! I even wasted a few seconds on that WeeMee nonsense. I'm not gonna lie - I think mine came out super cute. Way better than I'm looking these days...she even got to go to Paris. And then today the madness started all over again. The tooth brush battle (The Boy fights me every morning). The rushing to get out the door. Fighting my way through the D train crowd. Trying to get through emails and setting up meetings. Then rushing back home, hoping to get to the gym - only to sit on a delayed 6 train for half an hour. So that by the time I got home, I was so hungry and cranky I skipped the gym. So just I cooked dinner. And maybe I'll wash the dishes before I go to sleep. Or I'll leave them for the morning. The Boy Went for His 1st Pony Ride & I Saw a Difference! If you saw the photos from yesterday's post, you know that we took The Boy for his first pony ride. We took him to the The Bronx Equestrian Center. I can't tell you how often we've driven past and said, "We should take The Boy there..." We point out the horses and the The Boy looks impressed. When we asked The Boy if it's something he wanted to do. He yelled out yes and it's all he talked about. I'll be honest, I was skeptical. I mean, The Boy won't even go on the carousel. I wasn't sure how he'd react to a pony. 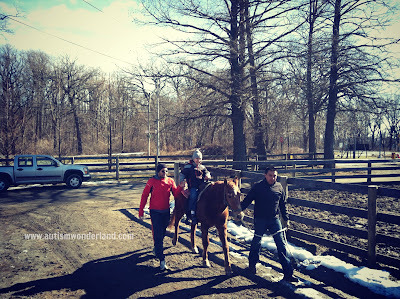 We parked the car and walk through to the stables. The Boy made me laugh because he put his fingers to his nose - I've never seen him do that before. But I guess the smell of horse manure will do that to a kid. As The Husband lifted The Boy to place him on the pony, The Boy started to protest. "No no no. Get me outta here!" The stable man assures us this is normal and that once The Boy starts, he'll be fine. As soon as The Boy is seated, they are off. Within seconds The Boy is smiling. After the first lap, he tells the pony to go faster. And after the third lap - The Boy insists on another on another ride. We happily oblige. I think I would have let him to do it all day but it was super cold. We promised The Boy we would return. And I don't know...that afternoon, The Boy seemed calmer. Able to concentrate and focus. I wondered if it had anything to do with the pony. 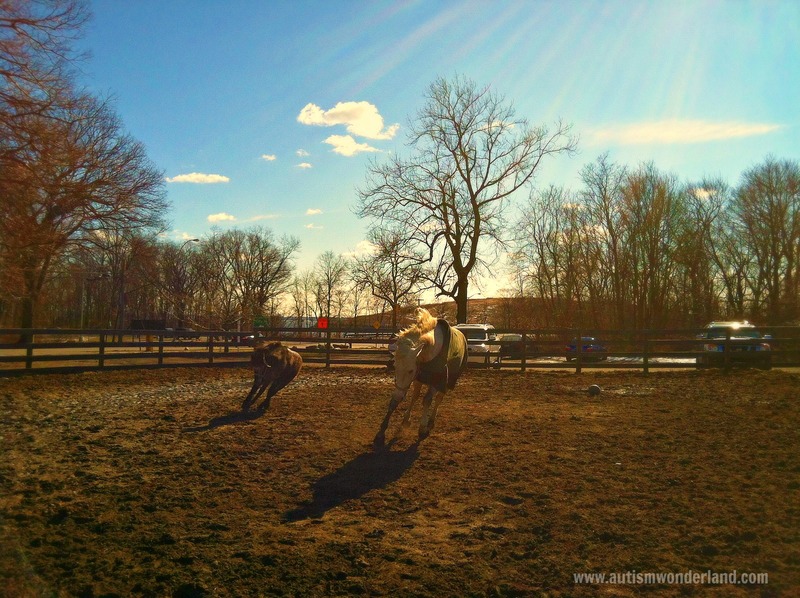 I'd heard about hippotherapy before and kids with autism. 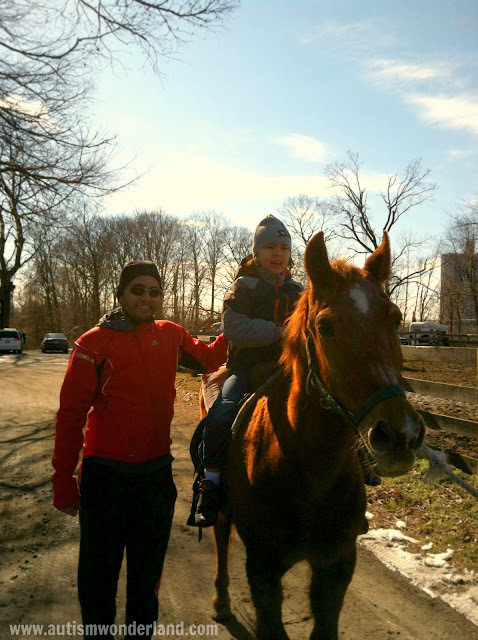 I knew a girl who went riding - her mother swore by it - and I met someone from GallopNYC and we spoke about the benefits of therapeutic riding. But I'd never seen the results. 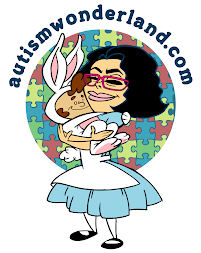 When you have a kid with autism, you want to try every and any kind of therapy you think may help. And I've put this one off for a while because I was uncertain. Because it can get expensive and there's always the time (because who has time for another therapy). But The Boy isn't in any extracurricular activities and if this is one that he'll enjoy and can benefit from - then I'm willing to make the time and find the money. 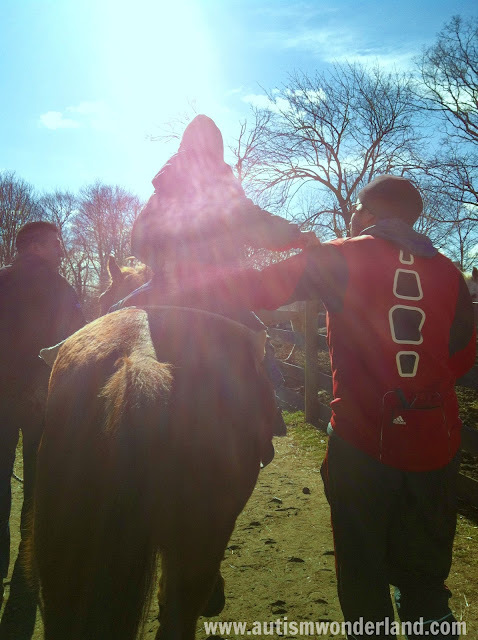 Would love to know if you've tried therapeutic riding? What differences have you seen? Last weekend was perfect for curling up on the sofa with a fun DVD. The Boy was really excited about the Pajanimals Playdate and couldn't wait for me to press play. When I was growing up, my mom never had the time to sit and watch TV with me. I know The Boy appreciates when I do and I don't mind taking 60 minutes to just chillax with my son. 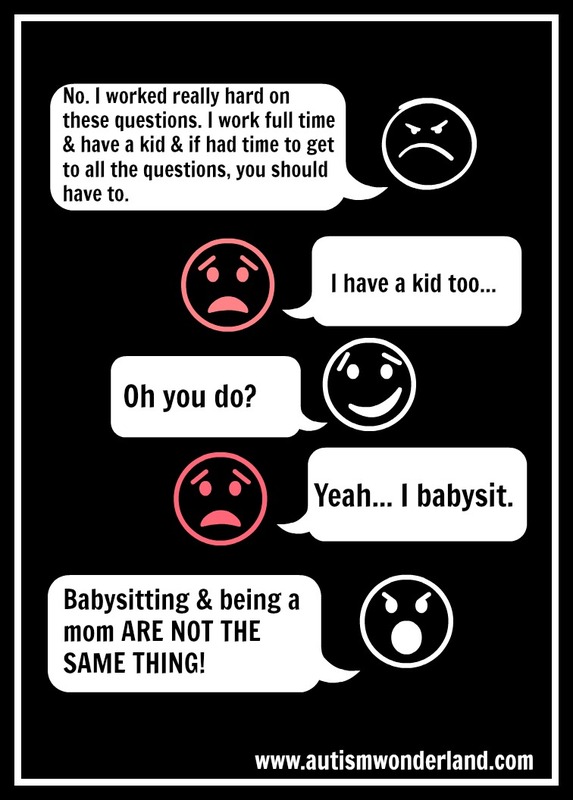 Sometimes, I ask questions and engage dialogue and other times I just want be a mom and enjoy our time. I had fun watching the Pajanimals Playdate. I loved seeing The Boy get excited and dancing along. And I loved the stories and songs - it all fit with what we are working on with The Boy. 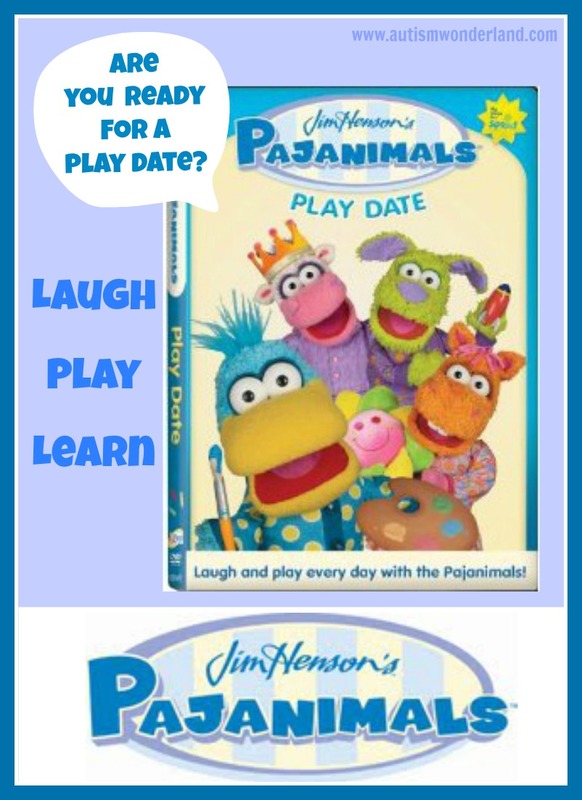 In “Pajanimals Playdate,” the Pajanimals love to play games, sing songs and go on great adventures to meet new friends. 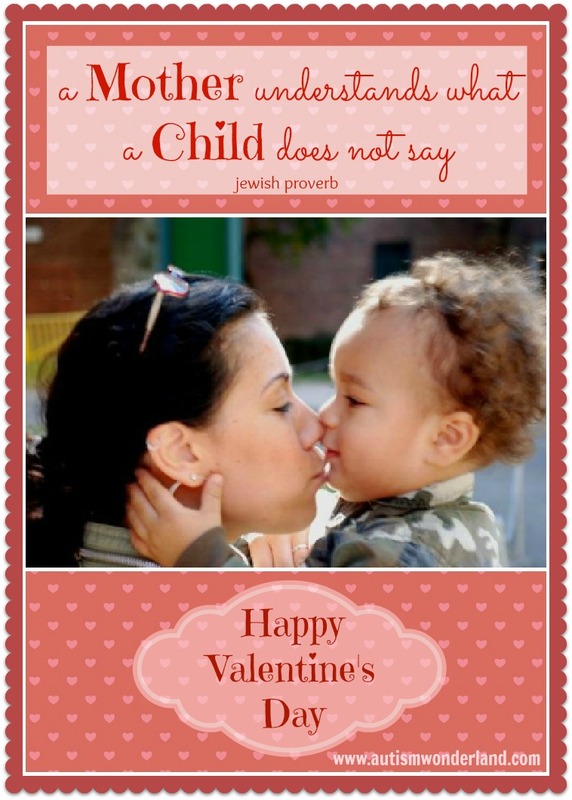 Each story resolves a challenge typically encountered during every preschooler's day. Through their imaginary journeys, these friends discover fun ways to learn daily life lessons. Snuggle up with the Pajanimals for a magical adventure and play date that encourages a bedtime routine! Disclaimer: I was provided with a complimentary copy of the Pajanimals DVD, all opinions are my own. Being an autism mom isn't easy. There are too many hats to wear. And only one woman to wear them. I am: teacher, therapist, chef, chauffeur, caregiver, provider, money manager, secretary, social worker, translator and lawyer. But there's one hat in particular, I wish I could where more often. 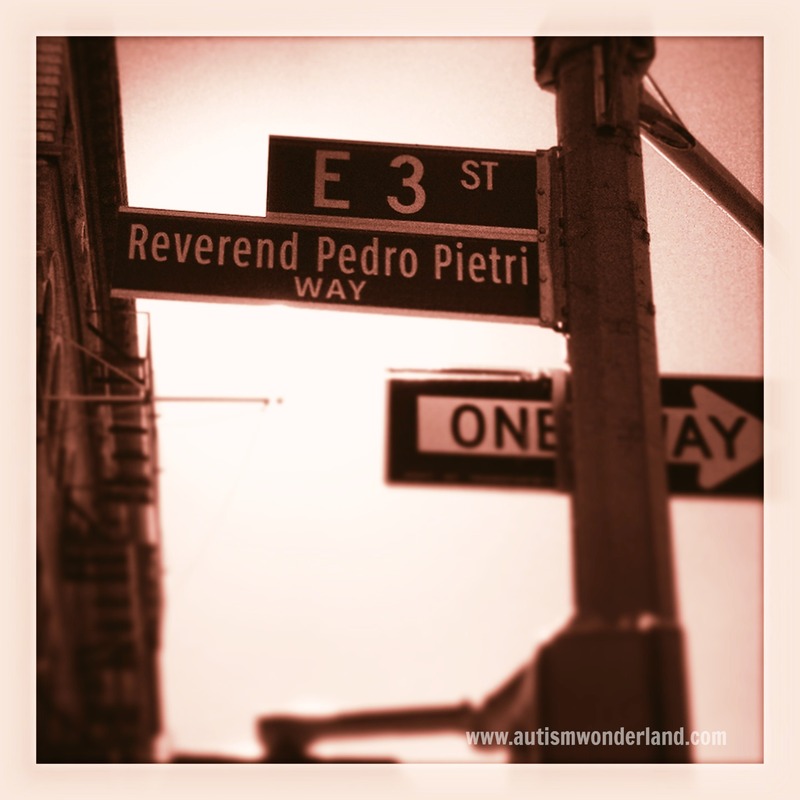 After The Boy was diagnosed with autism, we started working with an ABA therapist. Once a week, the therapist would give us homework. Nothing major, just activities for us to work on when she wasn't around. One of our assignments was to read Brown Bear, Brown Bear - three times a day. 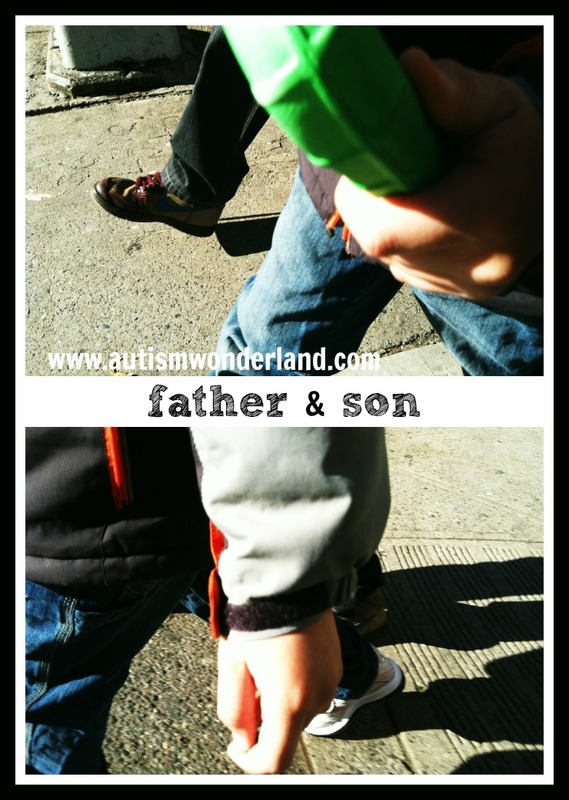 As a working mom, doing anything three times a day with my son was difficult. But I made the time. We woke up a few minutes earlier and I read Brown Bear at breakfast. When I come home from work, I read it before dinner. And at bedtime, I read it again. But I wasn't just reading the book, I was pointing at pictures. Taking his fingers and helping him point. Asking questions on each page and answering them myself because he didn't have any language. I was doing this three times a day, every day for months. Months. The same book. Now, I'm a reader and I was reading to The Boy since he was in the womb. And after he was born, I loved rocking him to sleep with a good book. But suddenly, this assignment took our bonding time and turned it into work. Read the rest over on Babble Kid - HERE. In case you missed the announcement last week on Facebook and Twitter - It's ME!! I'll be over on Babble Kid blogging 3 days a week. I can't even tell you how excited & grateful I am about this new opportunity. When I first started blogging, it was something that began just for me...now my blog, my writing has turned into so much more. 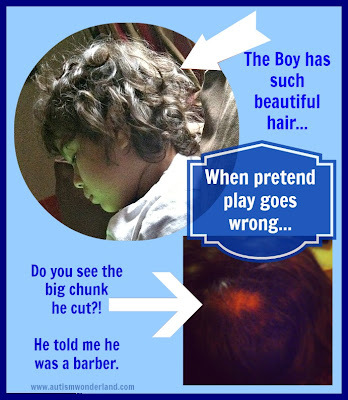 When The Boy was first diagnosed with autism, the doctor told us he lacked imaginative play skills. Since then we've been working on building The Boy's imagination and working on pretend play. In the last year, The Boy's imagination has been slowly emerging. And it's been wonderful to watch! For instance...last night The Boy pretended to be a barber. So um, YAY for pretend play. BOO for big piece of hair missing. It's a question we are conditioned to ask. Even when we could care less or are too busy to talk. Asked as a greeting and often in passing. By strangers, coworkers and friends. It's a heavy question with a rote answer. Because more often than not, our answer is usually the same. "Fine." And I think of all the times I'm asked "How are you?" and I answer "Fine." Even on days when I'm not. On days when the pain is unbearable. On days when I doubt and question every what if. On days I'm not feeling so lucky. I think of how I ask the question of others and I hear the same answer. We can't all be fine. And sometimes people just need to be honest and own their feelings. Sometimes they real answer needs to be coaxed out. 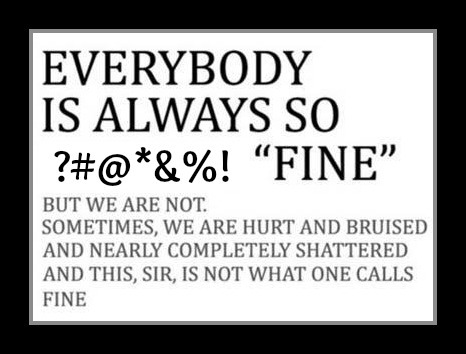 The next time you ask someone "how are you?" And you will know whether or not they are really fine. And if think they are not fine, ask them "Are you sure?" Valentine's Day is the day to celebrate the ones you love. But if someone you loved died on Valentine's Day, it becomes a reminder of loss. This is what Valentine's Day has meant for me and my family for the last eleven years. I grew up very close with my godparents. They were my parents best friends. My Mother and Madrina knew each other as girls - growing up on the same block. Their families intertwined. When they married, their husbands became best friends. They were in each other weddings, baptized each other's children. And they loved each other's children as if they were their own. And I remember as a kid we spent holidays, vacations and lazy summer days at the beach together. Some of my best childhood memories are of all of us together. Watching my parents and godparents together, I knew that was the kind of friendship I wanted. And I'm grateful that I do. 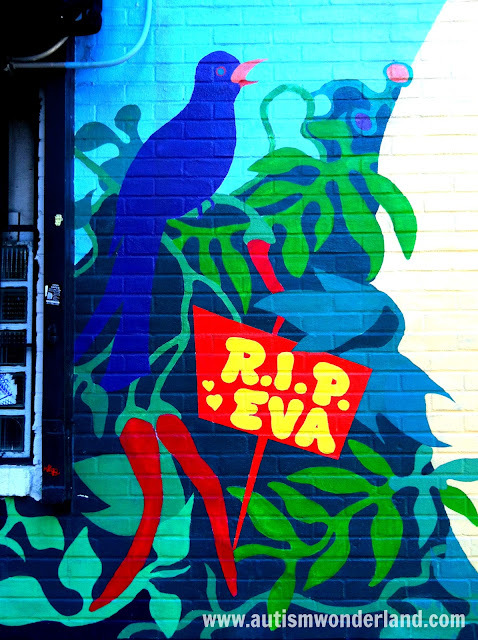 When my Padrino died eleven years ago - I was devastated. We all were. On the eve of his wake my Madrina asked if I could say a few words. At the time, I couldn't. But I would've said he was a good man devoted to his family. The kind of guy who'd greet you with a smile after he came home from a long day of work and offer you his last beer. He loved the Yankees and every summer he'd urge me to participate in a game of baseball even though I lacked coordination and the interest. And I will never forget that summer when I was eleven, we all went to Puerto Rico. He drove up and down the mountains, one arm dangling out the window, a lit cigarette in the other hand, his hand barely on the wheel. I was terrified and thought we would drive off a cliff. But he'd laugh, assured me he knew what he was doing and kept telling me to enjoy the view of the mountains. When I think about all of our family memories, it makes me sad that The Boy never got the chance to meet my godfather. 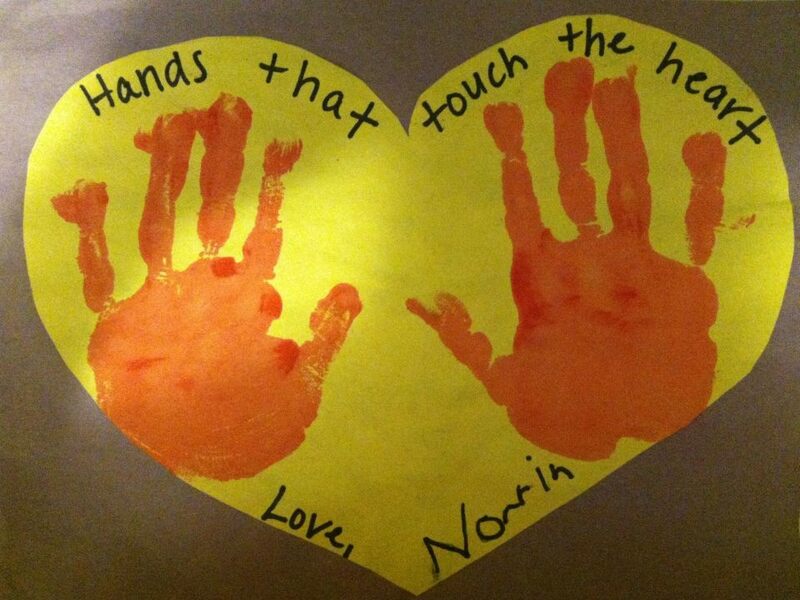 And I'm sad that my godfather never got to see me as a mom. And my godmother has moved to another state, so we don't see each other as often as I'd like. The Boy has a special relationship with his godparents. 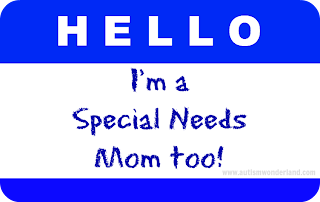 And I want The Boy to know that I have a special one with mine. And I realized the other day, that I didn't have a single photo of my godfather. 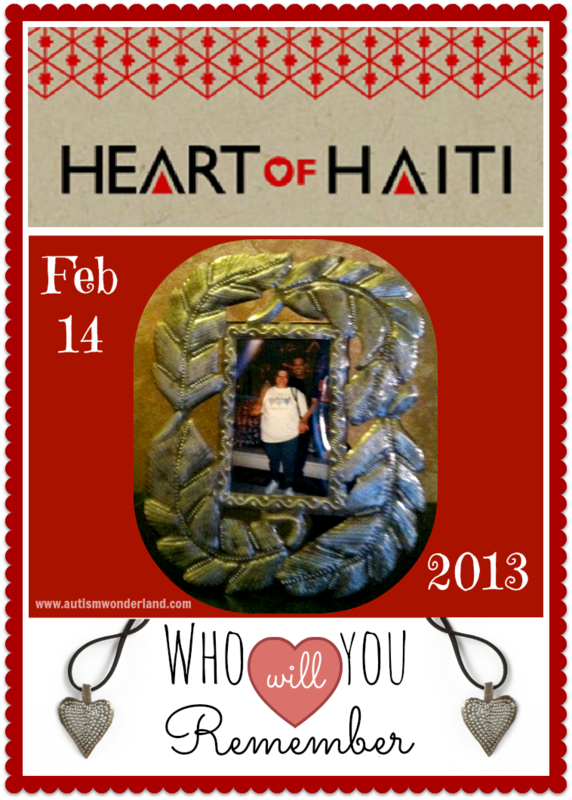 So when I received my Heart of Haiti frame, I knew what picture I'd want to place in it. Valentine's Day will always be difficult for me. But I am grateful to have had my godfather in my life, even if it was for too short a time. And it's my day to honor his memory. To learn more about the Heart of Haiti products and initiative click HERE. Disclosure: This post is in collaboration with Latina Bloggers Connect and Heart of Haiti. No compensation has been received, however I did receive the frame and the Heart of Haiti pendant. All thoughts expressed in this post are my own. I grew up in the kind of home where one could easily eat off floors. My mother prides herself on that. However. I wouldn't recommend eating off my floors. Not even with the 2 second rule. Though that doesn't stop The Boy from doing so. And on the rare occasion when he does, I just have to not think too much about it. Don't get me wrong. We don't live in a sty. I will dust, do laundry and wash dishes. But there's just something about mopping that I absolutely hate. But I'm home for the day and just looked at my floor and said - ENOUGH. So I mopped. Brought out the bucket and everything. I poured in my Fabuloso and went to town. It's the only thing that I love about mopping. 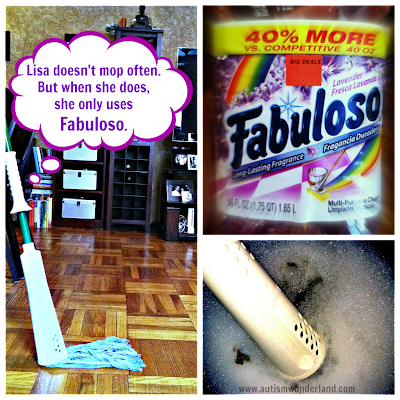 The scent of Fabuloso throughout the apartment and the gleam of my floors. Though I am sure either The Boy or The Husband will spill something on my squeaky clean floors before the day is done. 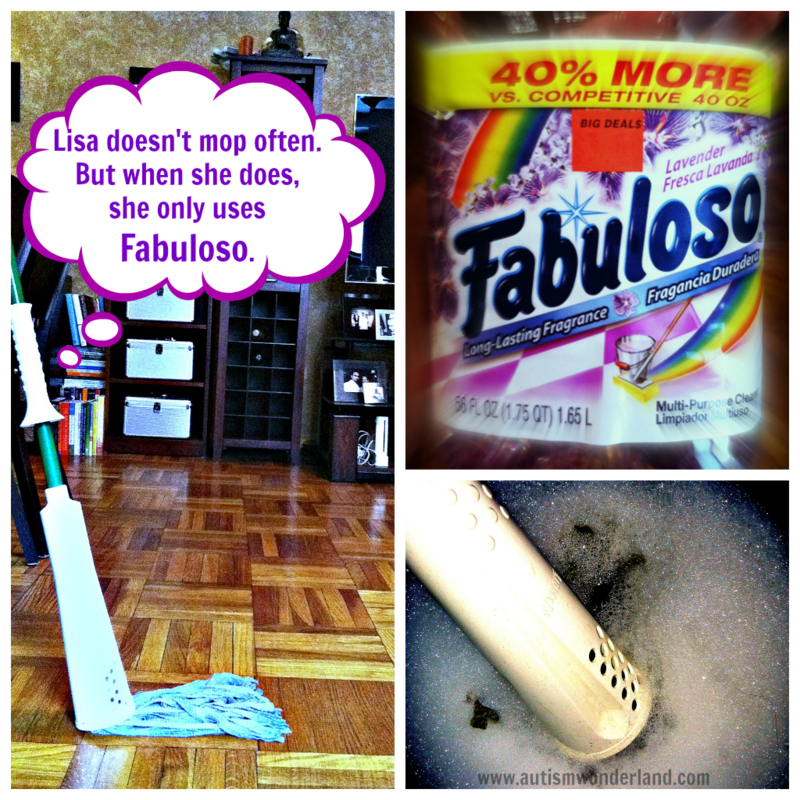 Because mopping happens so rarely I decided it was blog worthy. Because one never knows when it may happen again. 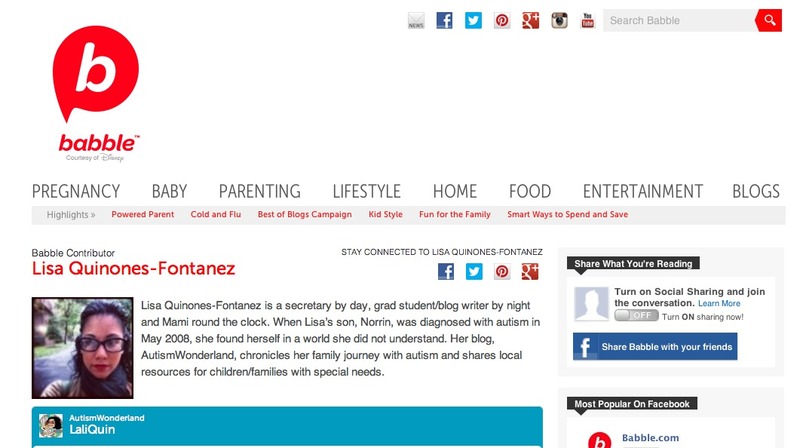 Please read the inspiration behind Jennifer's Autism Awareness jewelry collection. as well as my belief in giving back to the community. 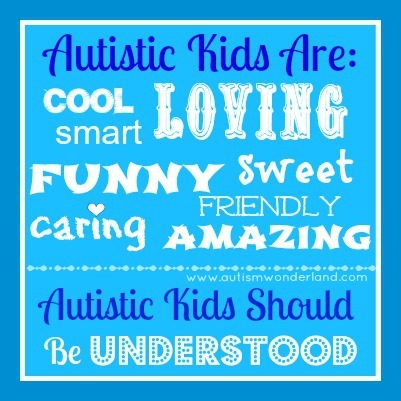 When our daughter was four years old, my husband and I were told Emma was on the Autism Spectrum - PDD-NOS to be exact. Since her diagnosis, we have worked hard to ensure Em could be the best that she can be. 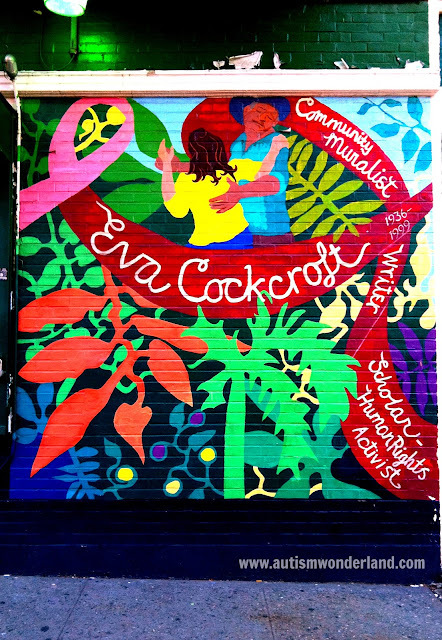 Em has an amazing team of people working with her and for her - each day I am amazed at the person she is: compassionate, artistic and incredibly intuitive. Many of my designs are inspired from Emma... my feelings, my hopes, my dreams for her. Each piece has been handcrafted in studio, from 100% recycled sterling silver - it's the ethical thing to do! 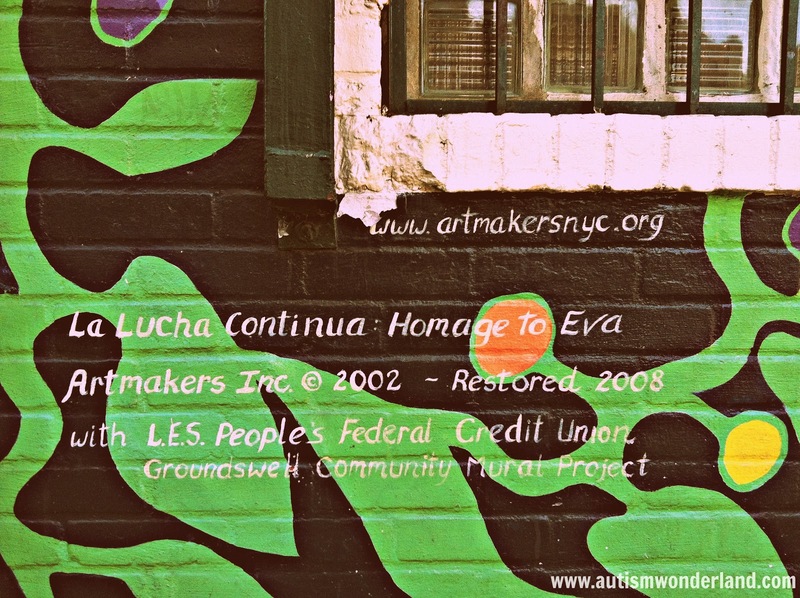 - and features unique pieces designed to 'start a conversation'. Although there is something for everyone in the Collection; The unisex 'Puzzle Disc' bracelet ($45), the 'Hammered Puzzle' pin ($35) and more, the 'Build Your Own Awareness' Necklace has been very popular, as charms can be added over time. Charms start at $45 and range to $95. 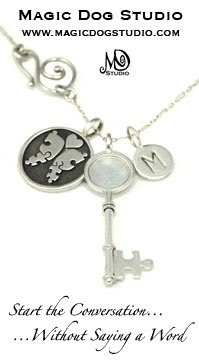 Each charm is unique and conveys a message using a combination of symbols, and initial charms can be added starting at $10. Disclaimer: This is not a product review. I have not been compensated in any way by sharing this information.